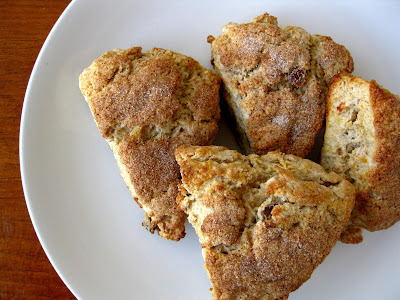 Then I went ahead and made some of these Cinnamon Date Scones just for good measure. I figure it's the same as eating a bowl of oatmeal with fresh fruit and toast right? Of course it is. 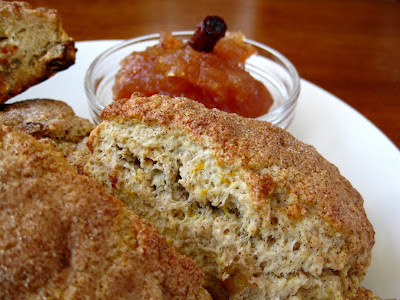 You can make them sweet, like Strawberry Ginger Honey Scones. Heck yes. Or you can make them savoury, like Rosemary Cheddar Scones. They're all good. Cut cold butter into the flour leaving larger, pea-sized pieces. Don't handle the dough too much. However, just like everyone else they strive to be different. Figures. 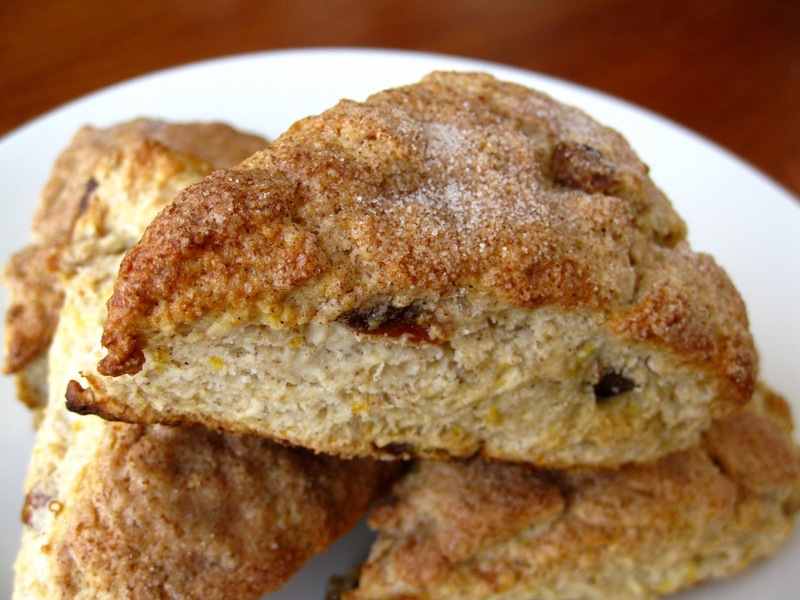 The differences are that there is a higher ratio of liquid to dry ingredients in scones (in other words, the dough is wetter, but not too wet). 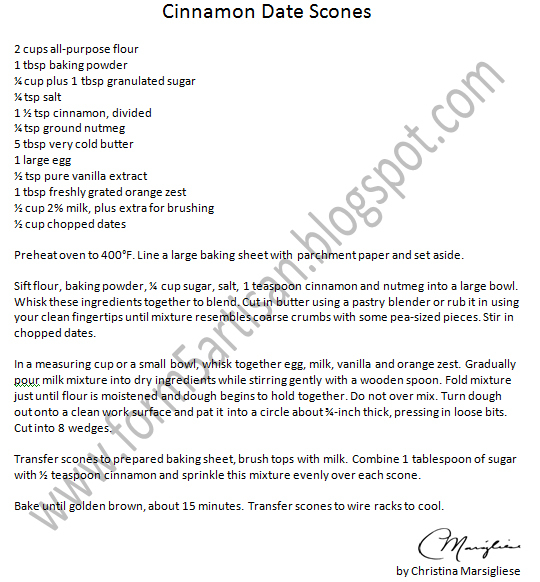 Another major difference is that scone recipes use leavening agents, usually baking powder. 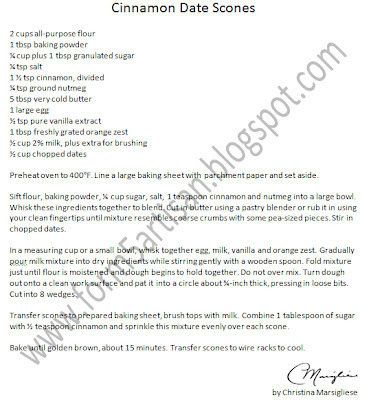 Baking at a high temperature quickly activates the baking powder and ensures a high-rise tower of a scone. Since scone dough is patted down into a disk rather than rolled out flat, there is less of a laminated or layered effect between the cold butter and the dough. So scones are more on the tender side than on the flaky side. Now, I'm just going to go out there and say it: this is my favourite scone recipe yet. I love the flavour of dates with cinnamon and nutmeg. And then there's orange. Oh orange...you pair so well with cinnamon. I like you. These scones are irresistible enough to eat solo. But, for those who can't eat scones without a little jammy jam, I've got you covered. @Ladybug This sounds like it's caused by over-handling...although you say you hardly handled it. Is your butter very cold? Make sure that you work the butter in quickly and then place the bowl in the freezer for 5 minutes to let it firm up again before stirring in the milk. Also, it is entirely possible that your oven temperature is not accurate.